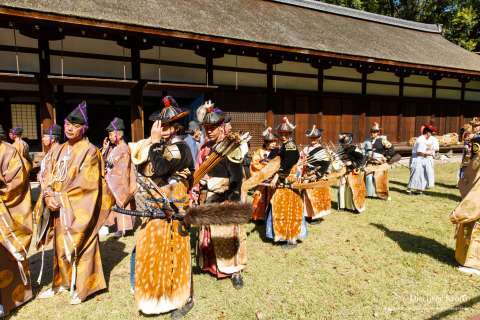 Performed at Kamigamo Shrine in October, Kasagake Archery is one of the three original styles of archery performed for the entertainment of shrine deities in Japan. 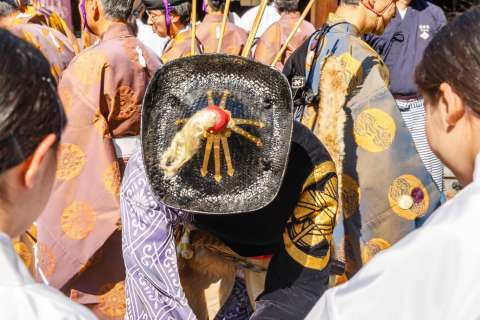 The nature of the shooting at this event harkens back to the practice drills performed by archers in the days of Japan’s warring period, recreated today as part of a religious offering. This ritual is performed by participants from the Takeda-ryū school of mounted archery, which has a long and interesting history. 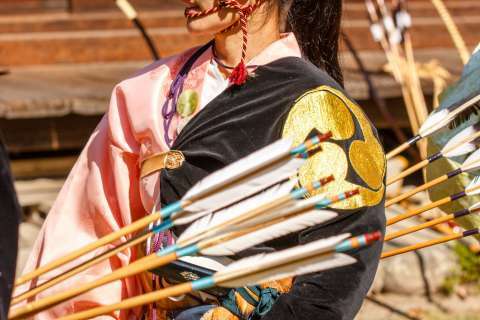 As opposed to the more commonly performed yabusame ritual where the archers shoot only at one fixed target, the archers at this event take aim at five targets: three at shoulder-height and two closer to the ground to simulate more realistic military maneuvers on the battlefield. Scores and hits are announced after each run, and riders with the highest score advance to the second round, where the targets shrink in size until a winner is crowned. Watching the riders race down the trail while drawing back their arrows before letting them fly was exhilarating, especially when they found their mark! 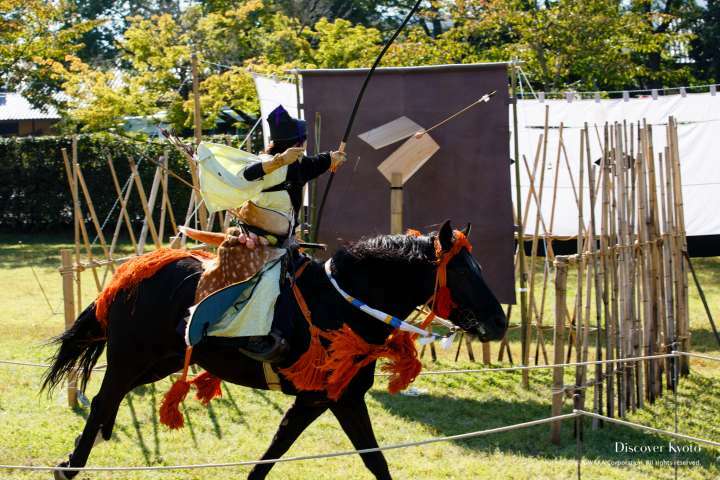 Held at Kamigamo Shrine in October, this event begins from 12:30, with the archery portion taking place from 13:00. Even if you only speak English you can fully understand the event and its history, as commentary is provided in English by one of the priests! 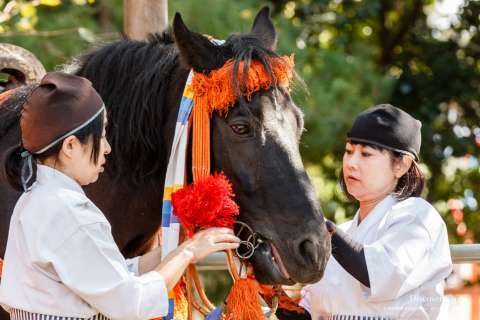 Take a look for yourself and marvel at the beauty of the horses and riders at Kamigamo Shrine’s Kasagake Shinji!